Special Olympics Lanterman program is holding a bowling tournament on Saturday at Oak Tree Lanes in Diamond Bar (Oak Tree Lanes – 990 North Diamond Bar Boulevard). They need 20-25 volunteers to help with awards, lunches, and monitoring the lanes while interacting with the athletes throughout the day from 9 am – 3 pm. Their current volunteer group backed out this week and they need more volunteers to make their tournament possible. Please let Brandon Adachi Manager, Programs & Volunteer Services know if you are able to volunteer. 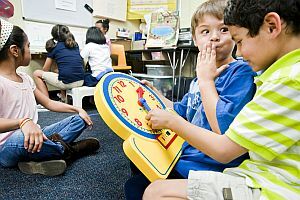 Elementary students at Oswalt and Ybarra academies are already working on their international baccalaureate degrees. The two Walnut schools were recently notified that they have been accepted as International Baccalaureate (IB) World Schools. They now offer the Primary Years Program, an international curriculum designed for students age 3 to 12. Students at the Rowland Unified academies may continue with the special curriculum for an international baccalaureate diploma from Nogales High School or Rowland High School, also IB World Schools. “After five years of hard work and dedication, we are so excited to be an IB World School,” said Ybarra Principal Annette Ramirez. Read more in Richard Irwin’s story Academies. Rowland High School is hosting a motivational speaker this morning. First, he will that will talk to all the 9th graders about the transition into a new school and all the stuff that goes along with it–good , bad, funny etc. Then, he’ll discuss leadership skills with student leaders. These students were selected by the staff to be role models on campus in sports, school, and extra curricular activities. The link between an education and a job is hard to establish with today’s high unemployment. There are already too many college graduates sitting at home without jobs. The administrators at the Hacienda La Puente Unified School District adult education program seem to have found that link with their health care classes. In fact, some employers are coming to them. Patton State Hospital in San Bernardino County and Metropolitan State Hospital in Norwalk asked if the the adult education school could train psychiatric technicians. The new occupation joins existing ones such as licensed vocational nurses (LVN) and certified nurse assistants (CNA). The two mental hospitals said they would be willing to offer grants and scholarships if the school would offer the training, so a new class was born. More importantly, a new connection to the real world was created, explained Cynthia Parulan-Colfer, associate superintendent of adult and continuing education. Although she didn’t provide hard statistics, Parulan-Colfer said many graduates go on to paying jobs. That’s because of the emphasis the district places on clinical training and workplace approximation. Read more in Steve Scauzillo’s story Health. An elementary school was found burglarized and several computers stolen early Friday, officials said. The break-in took place in the early-morning hours at Killian Elementary School, 19100 Killian Ave., Los Angeles County sheriff’s Lt. John Saleeby said. Officials discovered a window broken at a building on the campus, and several computers were taken, he said. 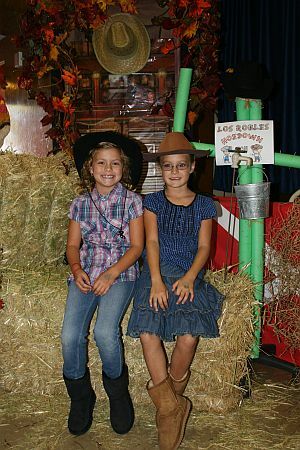 Twins Jackie and Mandy Goldbach kick up their heels at the hoedown at Los Robles Academy in Hacienda Heights. Don’t forget the big Senior Health Fair at the Steinmetz Senior Center in Hacienda Heights. The big event will be held from 9 a.m. to noon on Thursday. Seniors will be offered several free health screenings as well as information on many health issues. Many health agencies and businesses will help seniors learn more about their health. There will also be fitness demonstrations, raffles and prizes. Last year, more than 200 seniors attended the health fair. The Hacienda La Puente Unified School District has cracked the 800 level in the Academic Performance Index, the target set by the state for student proficiency. Student testing data shows the district, the largest in the San Gabriel Valley, improved from 791 last year to 802 API. Almost 75 percent of the schools in the two-community district either met growth targets or saw API scores rise. Of the 20 school districts serving the Valley, 40 percent met or exceeded the state API target of 800 (the highest possible score is 1,000), so Hacienda La Puente is in the top echelon of local school districts for student achievement. “We are very pleased and proud of what our students have done,” said Superintendent Barbara Nakaoka. Out of the district’s 35 schools, all but six saw increases in their API scores. The biggest drop occurred at Sierra Vista Middle School, which declined by 30 points. Read more in Steve Scauzillo’s story API. Penny Fraumeni is California’s 2011 National Distinguished Principal. And the Hacienda La Puente Unified principal is getting ready to fly to Washington, D.C., for a White House reception, thank you very much. Pretty rarified heights for a long-time resident of Hacienda Heights. But anyone who knows Penny, knows what she has achieved in the 39 years of working in education. Read all about this amazing educator in an upcoming story.